The Pittsburgh Diamond Dawgs are Western PA's premiere travel baseball organization. a forum to improve their skills and play baseball at a more competitive level. The emphasis of Diamond Dawgs baseball is on individual player development. By incorporating the same philosophies and teaching methods that we've used to create the area's best baseball players and applying it to the team concept allows Diamond Dawgs players maximize their ability and reach their true potential. Coaching is the most important component of player development in any youth baseball program. The techniques and habits formed at a young age will determine how far a player's career will advance. Young players grow and mature at different rates. The mechanics that are introduced at a young age must be bio-mechanically correct to allow players to be able to compete and continually improve as their bodies mature. Diamond Dawgs players receive consistent and proven instruction from the area's best baseball staff. Practice is where players are taught solid fundamental mechanics and correct baseball movements and given the tools to reinforce these teachings on a consistent basis. Diamond Dawgs practice sessions are very detailed, fast moving and intense. All practice sessions are set up in a station to station rotation format which allows all players regardless of age to receive the exact same instruction. Our players are expected each and every week to compete for roster spot placement. Practice begins out doors in October with our fall "mini camp". Indoor practice begins in December at our 10,000 sq foot " DAWG POUND" in Robinson Twp. and continues until the weather warms in the early spring. Dawgs teams will compete in tournaments at the local, regional and national levels. Teams in the pre-high school age groups will compete in tournaments generally within a two our radius of Pittsburgh. High school aged teams will compete against other top regional programs. SHOWCASE teams will compete in the top "invitation only" events that attract the best teams in a 15 state radius and are attended by college coaches by the dozens. There are numerous travel baseball options available in the Western Pa area. We urge you to do your homework. Investigate the programs and compare the coaching staffs, compare the reputations of the teams and most importantly compare the records of player development. 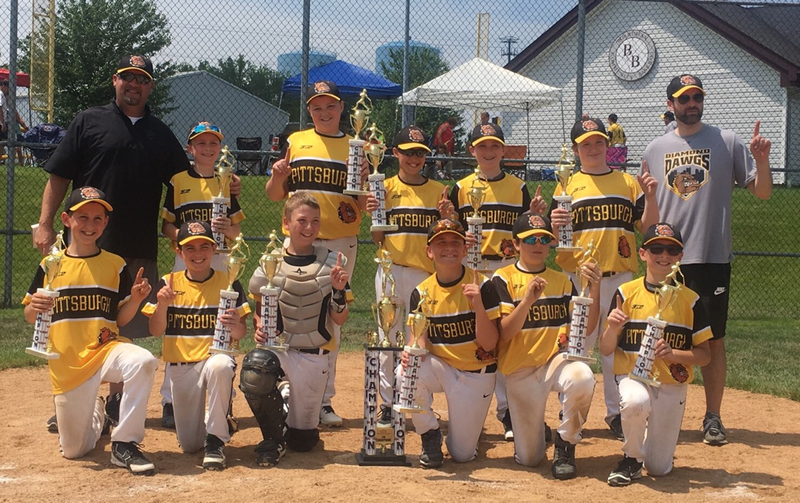 The Pittsburgh Diamond Dawgs will come out on top in every important aspect of travel baseball. Our teams are talented, prepared and well coached. Our staff is well respected and highly thought of by baseball coaches at all NCAA levels.